It's time to schedule your spring fertilizer! The spring growing season is only about a month away! 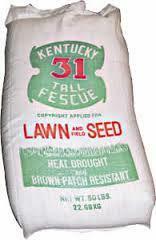 Now is the time to get your spring fertilzer scheduled and spread. With last year's late spring and the hot summer, most pasture nutrients have been drawn down. Your biggest asset is your pasture, make sure it's working for you! By spreading your fertilizer now, your pasture will have all the nutrients it needs available to it when the warmer weather arrives! And remember, we use ammonium nitrate, so it won't be leaching out of soil! We always recommend getting a soil test! Soil tests let you know exactly where your pasture stands and can save you money in the long run! Every pasture has its own specific needs. To keep your pasture healthy, your pasture needs nutrients. 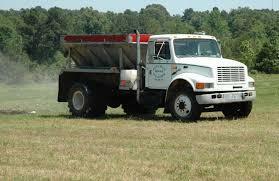 We carry high quality fertilizers and can custom mix a blend to meet exactly the needs of your pasture. We also carry ammonium nitrate so you don't have to worry about losing any nutrient value to evaporation. We can arrange to have your fertilizer delivered and spread or you can use one of our in-house buggies to spread yourself. Keeping your pastures clean from weeds and brush is vital. Weeds and brush take nutrients away from your grasses, provide poor nutrition if eaten and therefore makes your pasture less effiecient. 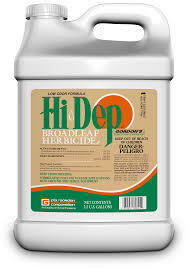 We have the chemicals available that will help you keep your pastures clean and working for you. We also have the ability to infuse chemicals into bulk fertilizer where you can get your fertilizer and weed control done in one simple step. Ask us about it next time you're in!